Six Years and That’s It! 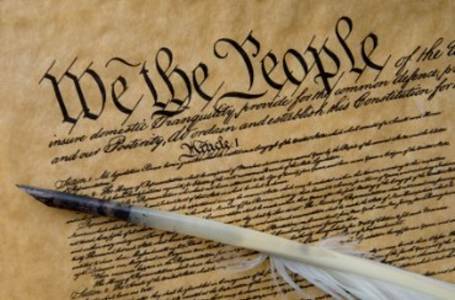 Currently, there are twenty-seven amendments to the U.S. Constitution; the last one, proposed in 1789 and not ratified until 1992, preventing laws affecting Congressional salary from taking effect until the beginning of the next session of Congress. After struggling to watch and digest both the Republican and Democratic National Conventions, I propose a twenty-ninth amendment: a U.S. president’s term shall be limited to one six-year stint. Six years and that’s it! You’re done; finished; complete. You can start writing your biography and building your library. If it’s good enough for México, it’s good enough for the United States. Every incumbent president since Richard Nixon has spent way too much time and energy during their fourth full year in office hoping to keep the position. Ronald Reagan almost dropped dead during his reelection campaign because he was so old and feeble, and apparently Bill Clinton got so sexually frustrated during his that he ended up feeding an intern the hard way. Okay, those are just my opinions, but seriously folks! As the symbolic leader of the free world, in a nation with the oldest constitution on Earth, our president needs to be focused on the tasks at hand. President Obama, for example, keeps trying to explain why the U.S. economy is still so bad, while still trying to fix it. He’s squeezing campaign stops in between deciding whether to drop a bomb on Syria, or send in the Marines. If we had that one six-year term deal in effect and Obama had been elected, say in 2006, he’d already be scheduling sessions with his ghost writer and consulting with the Chinese architects for his library in downtown Chicago. Then, he could say to hell with it and drop that bomb on Syria and not worry if it’s going to piss off the coveted Syrian-American vote. If anything, our presidents won’t leave office looking so old and frazzled. They could actually get more sleep during that fourth year in office because they won’t be up for reelection. They could still build a grand legacy during six whole years in office. Of course, they usually spend the remainder of their lives trying to defend it. I’m not a political scientist, or even a journalist. I’m just an average American citizen who’s grown tired of the sludge fests that have accompanied our national elections over the past twenty years or so. But, I’d still like to get some feedback on this proposal. What do you think?